Online Payment for our products and services is carried out through the most secure online payment platform in Nigeria called Voguepay. When you click on any Payment link on our website ng44.com, Voguepay connects via a secure tunnel to Interswitch which then connects to your bank or card company to process the transaction and deduct the amount from the funds in your card. Next, select the payment option. To pay with ATM card, click on the second or third option (Interswitch or visa). To pay using a different option, select the appropriate option. After clicking Proceed, a new page will come up that shows the amount that you are paying. The transaction number is also displayed together with a space for your email address. Confirm that the amount of money displayed is correct and write down the transaction ID (red box). Should there be any problem with the transaction, your transaction ID is what will be used to trace the transaction and take the appropriate action. On the next page, your email address together with the seller’s email address and a dropdown for selecting type of card will be displayed. Click on the drop down box to select your card type. As of now, we can only accept Interswitch Verve cards and GTB Naira Mastercard. Also take note of the Seller Email and write it down. It is the contact email of the person whom you are buying from. Should you run into any kind of problem with the transaction, that is the email that you should contact. To confirm that you are on a secure site, check the address bar of your browser. The address bar is the place on the screen or browser where the web address of the current page that you are viewing is displayed. It is usually located near the top of the screen. Below is an explanation of how to fill each of the fields in the console. Type in your card number. It can be found on the front of your ATM card as shown in the following picture (red box). 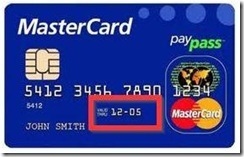 The expiry date for your card can usually also be found on the front of the card. If its not on the front of yours, check the back. The format is “month” – “year of expiry”. The month is usually written in numbers 1 to 12 symbolizing January to December. For example, in the image below, the expiry date is 12-05. This is equivalent to December 2005, December being the 12thmonth of the year. Your card PIN is the same as the ATM PIN which you use when you withdraw from an ATM. For security, entering the PIN cannot be done by typing but by clicking on the numbers in the numeric keypad (or PINpad) as shown below. The PIN secured image that shows near the bottom left corner of the console is a security device. If it is visible and you are able to see it then it means that it is safe for you to enter your PIN because the connection has been secured. For security reasons, do not enter your PIN if the PIN secured image is not showing. When it is visible, it means that whatever you enter will be safe and secure from hackers. As an additional security precaution, the numbers in the keypad are arranged randomly. Use Del to delete the last number you clicked on and Clr to clear all the numbers you have entered at once. 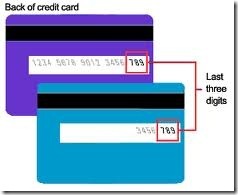 The CVV2 (or CVV) is a set of numbers (usually three) that can be found at the back of your card. The CVV2 is yet another security measure meant to protect the card from unauthorized use. 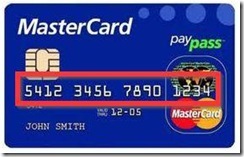 To get your CVV2 code, turn to the back of your card and you will see the numbers. If there are more than three numbers then the CVV2 code is the last three numbers in the set. If the processing is successful, you will get a message that says Transaction Successful. This means that your ATM was successfully billed and your payment successful. Next thing is to click on Continue to Merchant Website and follow any other instructions given in the final steps to get access to your download or registration. Usually the final steps after clicking on Continue to Merchant Website might involve a short form which will direct you to the download page after you fill and submit it. The spam mail folder (also known as bulk mail or junk mail folder) is a place where messages which are deemed to be useless or fraudulent and of no use to you are sent to. The messages are routed there automatically by your email provider who is most times correct but sometimes the system makes an error and sends some of your good emails there too. When checking your spam mail, you have to be careful not to open or believe other messages that you might find there because many of them have tempting titles but contain viruses or are fraudulent scams, may telling you that you have won a price or you can perform better in bed and stuff like that. Only open messages in your spam from people you know and ignore all the others. Most email services automatically clean out spam messages periodically so you don’t have to bother deleting them yourself. Just ignore them and your email provider will take care of the rest. Here’s how to find the Spam folder. Gmail’s spam mail folder is not always visible by default. If you cannot see it in the navigation menu on the left of your Gmail box, then you need to set it to show. When paying with your ATM card you might experience an error or some sort of challenge or the other. This is due to several factors either from your bank or from and interswitch problems. Lack of funds or mistakes made while filling the form could also lead to errors. When a transaction fails, the reason for the error will usually be displayed together with a failure message as shown below. Take note of the reason for the failure so that if the challenge is something that you cannot solve, you can contact us and tell us what the error is so that we can tell you what to do about it. This message means that the ATM PIN you entered was not correct. What to do: You need to go back to Step 1 and try again, making sure that the PIN you use this time is correct. Either you entered the wrong expiry date or your card has expired. What to do: Go back to Step 1 and start all over again, making sure that you select the correct Month and Year of expiry for your card. If your card has indeed expired then contact your bank for a new card or use a different card or another payment option. Usually indicates that there was a network error while connecting to the Interswitch payment gateway or connecting to your bank’s gateway. It is usually a temporary error. What to do: Go back to Step 1 and try again. If you get a transaction error again then try again after a few hours. If you are still getting the transaction error, try another card or contact us. This is a very common occurrence with First Bank cards. This could mean either your bank has placed a restriction on using your card online, or you have already withdrawn more than the daily limit of withdrawal through your ATM for that day. What to do: If you have not withdrawn above the daily Limit for that day then you need to contact your bank and explain the situation to them. If you have withdrawn above the limit, try again after 24 hours. This either means that your ATM card is not activated for online payments or you are using an old card that has been phased out. This is a very common error with old Access bank cards. What to do:Complain to your bank or try a different card or payment option. You don’t have up to the required amount for the purchase left in your card. What to do: Reload your bank account or card with funds and try again. Sometimes an undefined error may occur and you get the following message. Click close and try again with a different card or another payment option. If nothing happens after you click on the Close button then close the tab or window using the normal way of closing tabs/windows/browsers. i am happy as per traning showed on your site. My question is this.is different from what you explained.1. Now if i wnt to pay for my site in usa how.2. If i want 2 buy bulk sms and create the site here in Nigeria how can l do that. Am i the person 2 be paying for site or the people i am selling sms.3. 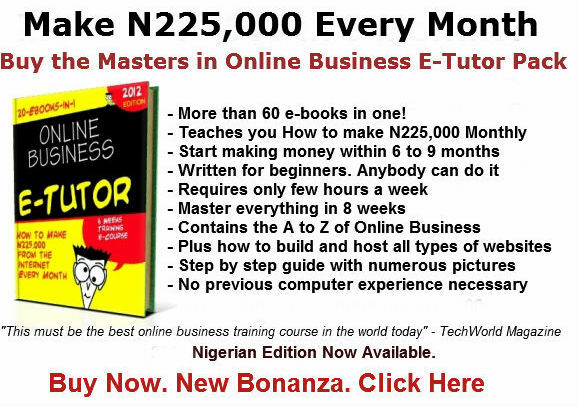 How mush dose it cost ever month i mean website in Nigeria.help me with this. More details on cheap laptops. What details exactly do you need? I want to transfer mone from my atm card to another account. Pleas how can it be done? Card number, expiry date, cvv2 and card pin is it all together. Please reply me. 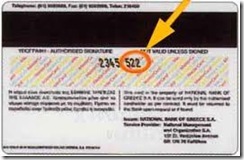 The CVV2 is comprised of the last 3 digits of the series of numbers on the back of the card.